Orthocaps is the only system that uses two types of aligners for the same treatment step. This provides a precise control of the forces at play. During the day, the thin DAYcaps act gently on the teeth, and at night the more stable NIGHTcaps wield their full corrective effect. This means that therapy with orthocaps is particularly gentle compared to other aligners systems. 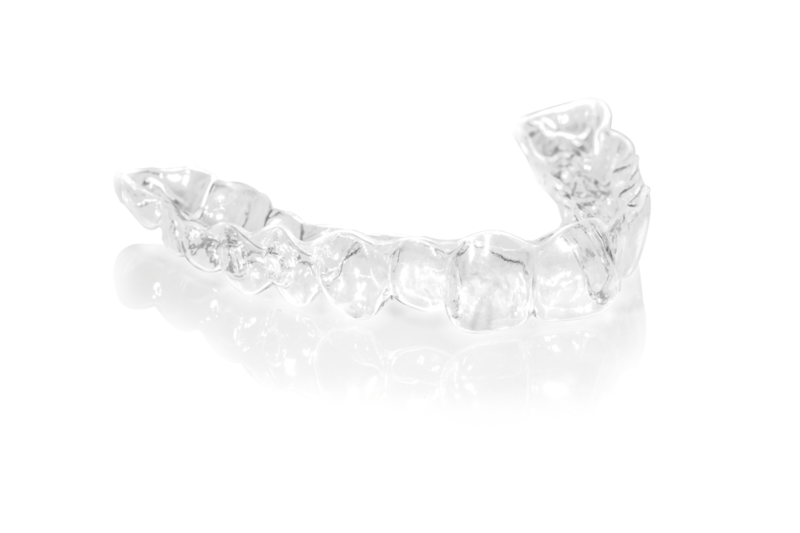 The orthocaps aligners is made of high-quality thermoplastic dual component material. The harder outer layer guarantees long-lasting stability while the inner soft plastic layer fits perfectly to the shape of the teeth. This results in better precision, boosted comfort and enhanced patient satisfaction. Thanks to its well-structured treatment process and help from our support team, including orthocapso in your practice is as easy as ABC. Our orthocaps portal enables you to submit your cases for pre-treatment evaluation. Just upload your extra- and intraoral photos and we will answer you within 48 hours. A detailed 3D evaluation report is generated at the end of each treatment phase. This is ideal to make sure that treatment is at all times 100% on track. The orthocaps aligners are manufactured at our production facility in Germany. This guarantees the highest quality standards, short delivery times and faster service responsiveness.